Want to discuss this further please contact us now. GB Roadmarkings is committed to providing services of the highest quality for every project. We comply with all health and safety regulations to ensure that all work is carried out in a way that protects our employees, clients’ staff and members of the public. 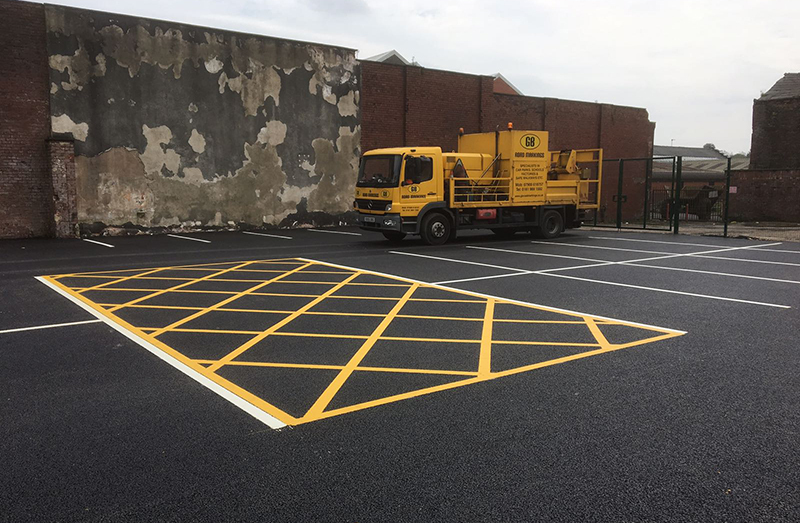 GB Road markings are based in Altrincham, Cheshire, however we cover the entire north west of England for any road markings, line painting or line removal projects. For any further information please don’t hesitate to contact us on 0161 969 1592 or email us at info@gbroadmarkings.co.uk. Road markings consists of various lines such as centre line markings, lane line markings, yellow lines, double yellow lines, stop junctions, give way junctions. We are able to remove all existing line markings by means of hot compressed air and also a petrol driven scabbling machine for when lines are no longer required. Want A Quote For Your Next Project? Road markings consists of various lines such as centre line markings, lane line markings, yellow lines, double yellow lines, stop junctions, give way junctions, zebra crossings traffic calming routs, school zig zag lines, speed symbols, roundabouts, directional arrows etc. 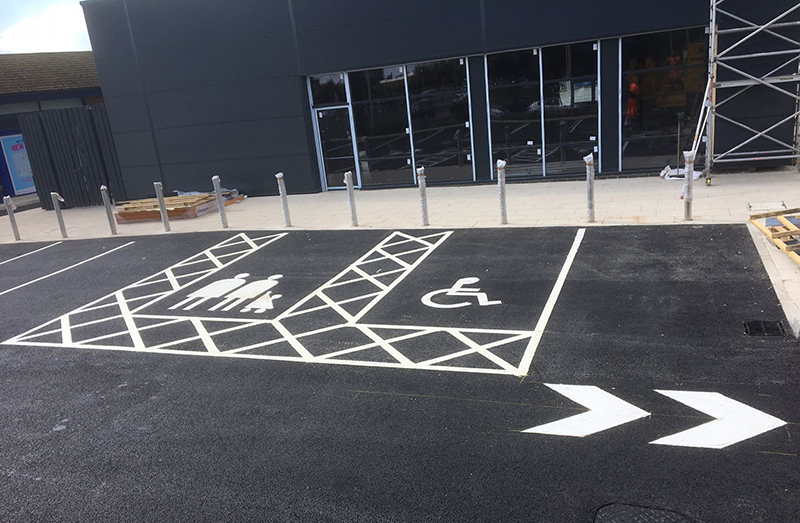 We do many various car parks, various sizes we set out all the car parking area, mark out where all the lines are going to go to be able to get maximum car parking spaces available, we also do parent and child logo’s, disabled logo’s, give way junctions, car parking bay numbers, car parking bay letters, directional arrows, pedestrian logo’s, zebra crossings, hatched area’s and roundabouts etc. Health and Safety plays a big part in today’s society and we aim to provide the most effective way of meeting requirements that are essential to keep factory personnel safe at their place of work. 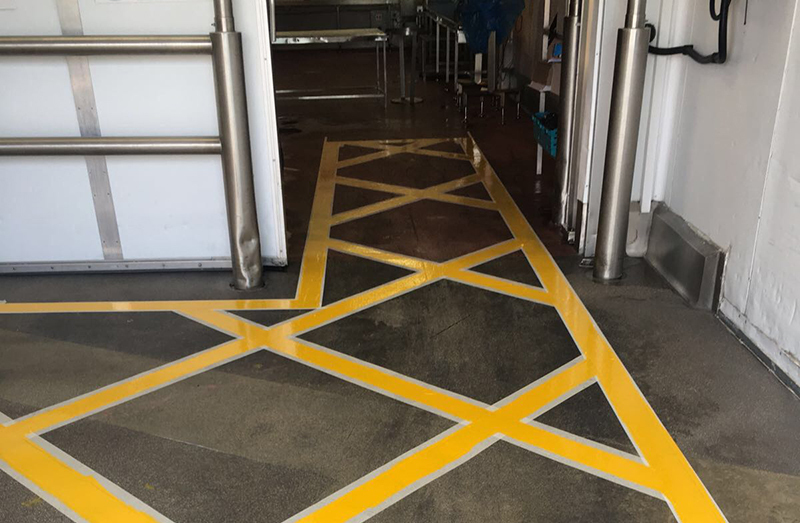 Safe walkways, hatched areas, fork lift truck routes and lorry bays are just some of the methods used to achieve this. We pride ourselves on their ability to complete any project, on time and to budget – whatever the size or deadline.